The Top Glove Scholarship Fund was established with objective of offering scholarship to qualified students who are pursuing full time degree courses (undergraduate) & (postgraduate ie. Master & PHD studies) at local public universities. 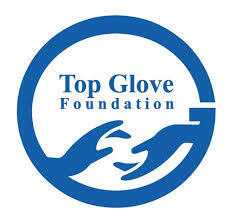 The successful applicant must enter into a scholarship agreement with Top Glove Foundation (“the Foundation”). The applicant must not be bonded to any other body or organisation. The successful applicant must not, without the prior written consent of the Foundation, accept any other scholarships or forms of financial aid from other sources whatsoever while he/she is continuing to receive any form of financial aid from the Foundation and/or when his/her scholarship agreement with the Foundation is still in force. Each individual applicant is responsible for all costs incurred in the course of applying for the Scholarship. The Foundation reserves the right to make changes to these Terms and Conditions without prior notice at any time and/or the right to cancel, modify, suspend, delay or withdraw its offer of the Scholarship programme at its sole and absolute discretion and the applicant(s) will be bound by such changes. All decisions of the Foundation in any matter in relation to the Scholarship programme will be final and binding and no appeal, discussion or correspondence will be entertained. Only short-listed applicants will be notified via email and/or phone call for an interview. Successful applicants will be required to serve TOP GLOVE GROUP OF COMPANIES based on the duration of the scholarship for instance if we provide 4 years scholarship, the applicant is required to bond with Top Glove for 4 years or etc upon completion of their studies. If you wish to apply for release before the commencement of the scholarship bond or to terminate the scholarship bond before the stipulated period, you are required to pay back to the TG Foundation double the amount of the total scholarship as awarded to you. Scholarship amounting to RM 8, 000 per year for Arts, Law, Management undergraduate students. 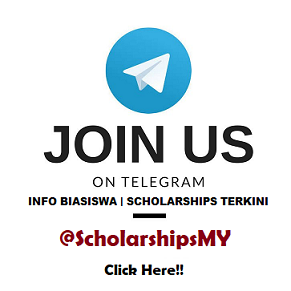 Scholarship amounting to RM 9, 000 per year for Science and Engineering undergraduate students. 1. The application form should be completed in writing by the applicant. An incomplete form will not be considered. 2. Please attach the certified true copies of testimonials and certificates and originals should be produced during the interview. 3. If necessary, due to space constraint, please attach addendum. 4. Please read carefully the declaration on item 17. 5. Please return completed form to. OFF JLN MERU, 41050 SELANGOR D.E. MALAYSIA. Upon closing of the application window, the scholarship committee will review the applications and shortlist eligible candidates for interviews. There will be one application evaluation period and two stages of interview before the final list of scholarship recipients are announced.